Club President Sam Mrad is quoted on the Karting Australia NSW website that there’s a new logo, pit upgrades, plus a ‘Class Captain’ program to help create a welcoming environment for people new to the sport. North Shore Kart Club, NSW’s largest karting club, today announced a major rebrand to bring the club in-line with all their upcoming changes. 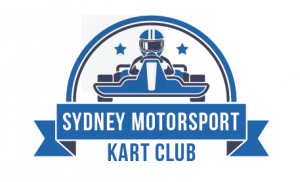 “Amongst the changes, NSKC will now be known as Sydney Motorsport Kart Club (SMKC), to bring the club in-line with our location within the Sydney Motorsport Park precinct. There will be a new logo, with our current social media and website reflecting these changes in the coming days and weeks” says Mrad. Mrad adds that encouraging both current members to come racing and also creating a welcome environment for new people coming into the sport, is one of the key things for successful club level racing. The new class captain program to be announced shortly will give newcomers a great way to immerse themselves into their class community, getting to know everyone and giving them the support they need to stay in the sport. SMKC’s first event of the year will be the Brian Farley Memorial, also now the NSW State cup – a ‘black plate’ event, hosted on 23-24 February. TaG Light will be the feature class with over $3,500 worth of prizes. The meeting will also feature Rotax Light, Rotax Heavy, and Jmax for all those wanting a shakedown meeting before the next Pro-Tour round begins on March 8.